"It's a state of mind. Of soul, really." Overwhelmed is a good way to describe myself after yesterday, and yet, even that somewhat hyperbolic word seems strangely inadequate. I am so deeply moved and touched by the response to my post about my father – some of the comments left by friends and strangers quite literally brought forth tears. And that is all my Dad, proving that what I said yesterday is true, that even twenty-five years gone he retains the ability to move and inspire everyone he touches. Some of you shared your own inspiring stories of your parents, and of your own losses. I think it’s important to remember in times like these that which connects us all as members of the human race; our emotions. In our darkest and our brightest moments, we all feel the same way. We can look at someone who is suffering and understand the depth of their pain. More than that, we can share in our joy and celebrate mutual triumphs. We can feel so alone in this vast universe, and yet we never are. We have each other. We will always have each other. A man who was equal parts president and philosopher, John F. Kennedy, said that “we all inhabit this small planet; we all breathe the same air, we all cherish our children’s futures, and we are all mortal.” The possibility of our greatness is tied to our capacity for empathy, the knowledge of and the desire to do good, not out of a wish for personal gain, but because we know that it is right, and that the mere doing of good makes us all better. 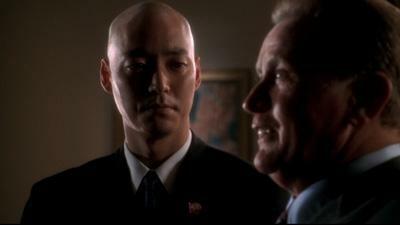 There is a Korean word, han, which first came to my attention when it was used on an episode of The West Wing. There is no English translation, but it was described on the show as “A sadness so deep no tears will come, and yet still there’s hope.” I’m not sure if I’m using it here exactly in the way a native Korean would, but for my own purposes, it captures my state of mind this morning in a way that overwhelmed does not. I still mourn my late father, but I am lifted, given great hope indeed, by the supportive thoughts of friends, family and strangers; the great tapestry of emotional connection that binds us all in a universal truth. Maybe that’s a lesson to take from this experience, is that even in the depths of despair, there is always hope. And we need not look far to find it. It’s in me; it’s in you. It’s in us. It is us. died. The next day he was buried, his Army blanket his shroud, in a rocky patch of ground 6 kilometres outside the city of Algiers. I never knew him and to be honest never thought much about him, that is until I approached my 60th birthday when I started feeling a loss. I suppose it was always there buried deep inside. It was a feeling that something was missing or perhaps a feeling of being cheated and it grew stronger like a nagging pain until I decided that I must do something. I did. I search for and found his Family, the people I never knew. In October of 2007 I went to Dundee, Scotland and met them. Although it eased the pain somewhat it is never gone. There is an emptiness in my life for I will never know what would have been if the Fates had not been so cruel as to take this man and leave me to wonder what my life would have been if he had lived. Although I carry the name of my step-father I am a Campbell and I carry his name David. The best way to honour Cpl. David Campbell is to aspire to the greatest heights you can with the life that was his gift to you. But that life can also do honour to the man whose surname you carry, in the same way.